Rabat - Ahed Tamimi was finally freed from Israel’s HaSharon prison Sunday morning and held a press conference at the Bedouin village of Khan al-Ahmar, in the occupied West Bank. 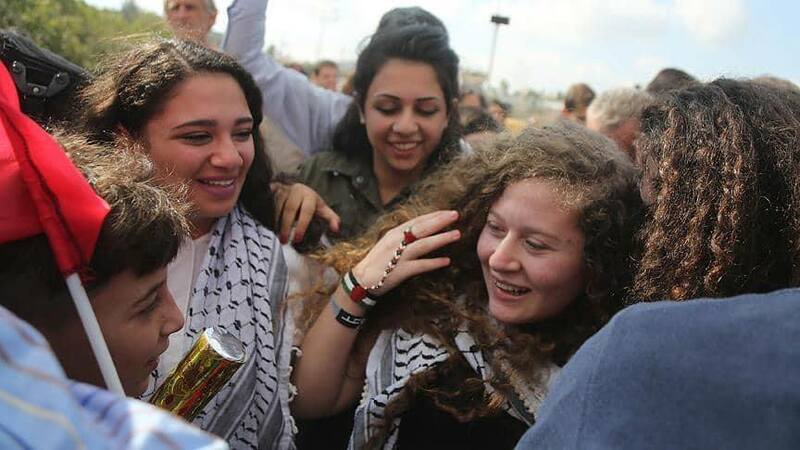 Rabat – Ahed Tamimi was finally freed from Israel’s HaSharon prison Sunday morning and held a press conference at the Bedouin village of Khan al-Ahmar, in the occupied West Bank. The 17-year-old broke down in tears when she received a tremendous and emotional welcome from her family and supporters in front of her house in the village of Nabi Saleh. A vast crowd assembled at a press conference devoted to Tamimi upon her release from prison. Tamimi held the conference along with her father Bassem and mother Nariman. 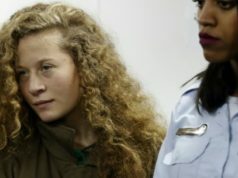 Tamimi was sentenced to 8 months in prison after she and her cousin appeared in a video yelling at and pushing two armed soldiers from her family’s front yard. The Palestinian girl was convicted of assaulting an Israel Defense Forces (IDF) soldier. Her mother, Nariman, also sentenced to 8 months, was released the same day. Speaking at the press conference, Tamimi first thanked everyone who supported her during her incarceration. She said she was extremely happy to be back “in the arms” of her family. However, Tamimi could not fully rejoice since other Palestinian women and girls are still in prison. The brave Palestinian teenager spoke out about Palestinian women’s continuous role in the struggle against the Israeli occupation of their land. 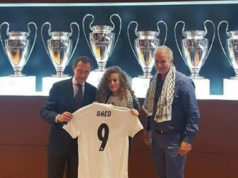 Both of Tamimi’s parents also expressed their feelings at the conference. Tamimi’s aunt, Manal, hoped that Tamimi’s release would shift international attention from Nabi Saleh to Israeli prisons, where many Palestinians are detained. “Now the whole world knows about what’s happening here [in Nabi Saleh]. 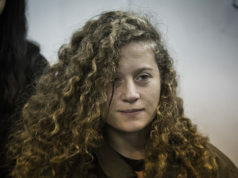 But what’s important now is for Ahed to inform the whole world about the experiences and treatment of [Palestinian] women and minors in Israeli prison,” she told Al Jazeera. Palestinian President Mahmoud Abbas received Tamimi in Ramallah and praised the model she presented to the Palestinian cause. “The popular resistance model is the best weapon to confront the [Israeli] occupation and to show its savagery to the world,” he said.